As far as I can see, today many companies have started moving part of their workload to Azure VMs and are looking for a way to easily manage them just like they were still sitting in their datacenters. If you have been practicing PowerShell for a while, you should know well that a while back Microsoft introduced a technology named PowerShell Desired State Configuration (DSC). Now still today many people that have been toying around with DSC aren't aware of the fact that it is built-in in Azure and that they can use it to configure Azure VMs using a workflow similar - if not simpler - than the one they used while they were running VMs on-premise. Let's see how this works and how easily a desired configuration can be pushed to your VMs. First of all you need to know that the key component in the process is a VM Agent. 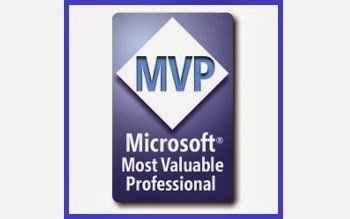 This VM Agent is a set of lightweight software components running within the OS (be it Windows or Linux) of an Azure VM and that are presented as an extension in your VM configuration. It's through this VM agent that you can push your configuration to the cloud-hosted VM. 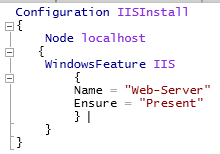 The configuration file IISInstall.ps1 is actually a file declaring the expected resources you want your Azure VMs to be hosting. As you can see I am assigning the output - which is an html link - of Publish-AzureRmVMDscConfiguration to a $ZipUrl variable so that I can re-use it in the next stage. Using the -Force switch is needed when you are updating your configuration file to a new version than the one already stored in Azure. Now, before we attach the configuration to the VM, there is a bunch of information that we need to retrieve in order to Set-AzureRmVMExtension - which is the key cmdlet here - to work. Get-AzureRmVMExtensionImage -Location "West Europe" -PublisherName "Microsoft.PowerShell" -Type "DSC"
Get-AzureVMAvailableExtension also returns other interesting properties such as the list of the Azure regions where the extension is present: in the case of the DSC extension this is luckily present in all region (see last line of output), so we are good to go. We already have all the information about our VM and about the extension. 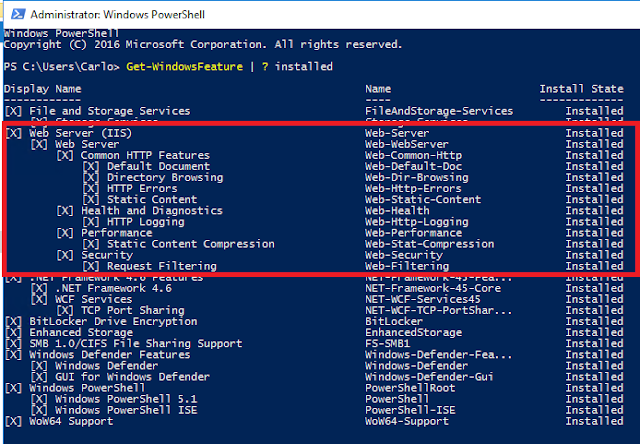 As you can see the process is pretty simple and, even if it demands a bit of understanding how the configuration are stored in Azure and how you can set up an access policy, the desired configuration is easily pushed to Azure VMs thanks once again to PowerShell.